We recently shared data depicting how mobile app advertising is the riskiest environment in terms of ad fraud — with video as the leading cause. Mobile app video advertising is the only device/channel combination with invalid traffic (IVT) rates consistently at or above 20%. Read our blog to learn more about the challenges this creates for marketers at the macro level. Now that you understand mobile app video advertising is prone to ad fraud, you may be wondering where the ad fraud actually takes place. There are millions of apps in the official Apple App Store and Google Play Store — but where should you start to guard your business? There are dozens of app categories across iOS and Android devices, but we wanted to draw your attention to one particular category that has been costing advertisers: Android’s ‘Tools’ category. The ‘Tools’ category features apps with a variety of functions, including VPNs, flashlights, anti-virus apps, file managers, and more. The Google Play Store ‘Tools’ category is consistently one of the three most popular Android phone app categories for programmatic video advertisers. Based on Pixalate’s data, the category commands 7-10% of programmatic video ad spend directed to Android phone apps in North America. Only the ‘Games’ category routinely garners more interest from marketers (more on that later). The ‘Tools’ category was the only app category to have video ad fraud rates above 18% every month in the time period we studied. Typically, apps in the ‘Tools’ category need access to an array of permissions on the phone in order to do what the apps are intended to do. However, in the wrong hands, broad access to permissions makes it easier for fraudsters to turn phones into vectors for ad fraud. As our recent MegaCast discovery showed, fraudsters can run ads in the background of a phone — even if the phone is asleep and the questionable app isn’t open — if they have been granted enough permissions. If the bad intenders also have access to location data, it can be used to augment ad inventory to make it more attractive to advertisers (e.g. boost the CPMs). To reiterate, just because an app has access to a wide range of permissions does not mean it’s a “bad" app. But it’s important to know that bad intenders do attempt to use permissions to sink their teeth into a device and set up shop. Fraudsters know they can use kernel-level permissions to cloak whatever invalid activity they intend to carry out. It’s yet another signal marketers need to pay attention to in the mobile app landscape — and, by nature, many apps in the ‘Tools’ category ask for in-depth permissions, which makes the category an attractive target for fraudsters. Are you vetting the apps you're buying on? While many apps in the ‘Tools’ category serve a useful purpose for the end-user, they aren’t the kinds of apps you’d expect people to spend a lot of time in, at least not in comparison to gaming or social media apps. As noted above, fraudsters may target this category because of the permissions typically granted to these kinds of apps. And while the specific types of IVT varies from app to app, Video Impression Fraud is often the leading type of IVT on apps in the ‘Tools’ category. 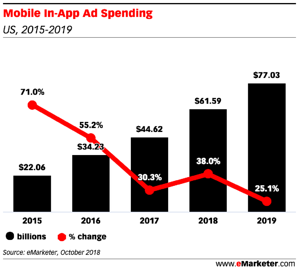 As mobile in-app ad budgets increase — eMarketer says advertisers will spend nearly $62 billion in-app this year — it is vital to work with a partner that can monitor the full range of apps because ad fraud is persistent across app types, including those that appear brand-safe. Interested in learning how Pixalate’s tools can help you vet inventory sources across domains and apps? Schedule a demo today.